This is just a fantastic post, Jade! 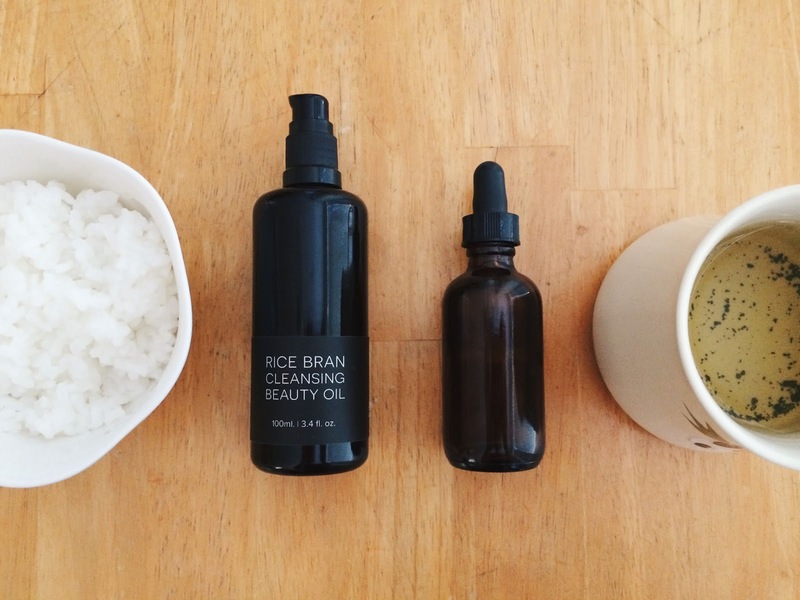 I love how in-depth the breakdown of the ingredients and the fragrance of the Rice Brand Cleansing Oil is. I'm with you on finding products that are both nourishing and anti-acne (which is why I was so happy that the ED4OLO line worked wonders for me!). I'm sorry to hear the Kjaer Weis foundation is giving you a bit of trouble. Maybe it has to do with the things you are layering underneath it? I have a sneaking suspicion that the Consonant Perfect Sunscreen I've been using with the foundation is causing cystic acne to pop up on my jawline. Hmm, gotta put on my thinky detective cap. Such a thorough review! I've been using coconut oil lately to oil cleanse (luckily I have no problems with it) but definitely yearning after something a little 'fancier'. Would love to give this one a go, big fan of both camellia and rice bran! The manuka honey is intriguing me, although I like it when my cleaning oils wash off like a milk – I'm just lazy like that. Will definitely keep it in mind though, since I'm almost out of my DHC Cleansing Oil. I never suspected the Consonant Perfect Sunscreen since I thought it worked so well and loved the texture and feel so much–but maybe you're on to something…I also just switched over to Pratima's sunscreen a couple weeks ago…hmm…interesting. I may take my KW foundation out again to see how my skin behaves now. I hope Consonant is not your culprit since I recommended it so much 🙁 But hopefully you can find out what's causing that cystic acne–good luck! Thank you Mayah! So jealous coconut oil works with your skin–it has so many great benefits (if only my skin would listen :P). Hope you'll give this one a try! Thank you, Ru! Glad to hear you're loving it too so far. Posh! I can't wait to read your post on it 🙂 And I can't wait to hear what you think about the Nourish face oil! My face has a weird relationship with sunscreen so I don't quite blame it all on the Perfect Sunscreen!! There's just something about sunscreen that my facial skin doesn't like – maybe it clogs up the pores too much? It's totally a no-no thing but I've being just using the foundation with no sunscreen….and aha no acne! Man…it's because I had such a dramatic change when I flipped over to mineral foundation, even for a week (keeping sunscreen constant) that I never thought to suspect my sunscreen. Interesting that foundation without sunscreen works better with your skin. At least yay no acne!